NEW! The Global Consciousness Program shows us what we are working on as global themes. This workshop is about the bigger picture. 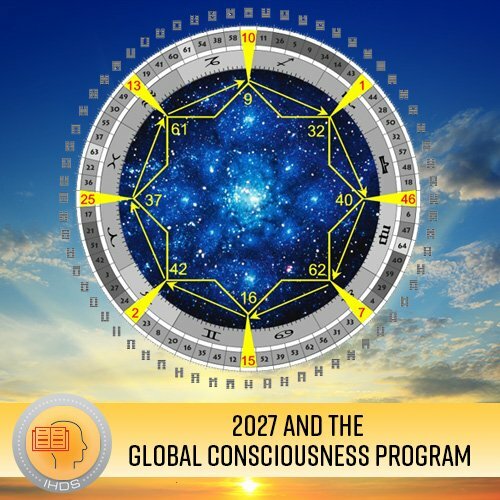 Mary Ann Winiger talks about the Global Consciousness Program and the change that is coming in 2027. It is a major change - the underlying foundation for our human life is shifting. This experience can be truly alarming if one does not understand that this is all part of the bigger program at work. It is not the end of the world. It is an evolutionary process and all of us are being affected deeply. Change is not something to fear. With understanding and being rooted in ourselves, we can witness change rather than be frightened of it. By being correct in our movement in the world we can remain anchored and aligned within ourselves even when it appears as if the world is turning upside down. As human beings, our greatest imprints from the neutrino stream are from the Sun and the Earth. This along with the planets and the moon make up our planetary program. This is our life and it impacts us directly. Yet, we are part of a galaxy with billions and trillions of moving stars that all produce neutrinos as well. These constellations give off an information field that impacts each of us indirectly. It is a much greater program at work. This is the outer program at work. This program is not impacted directly by the Sun and the planets – this larger program responds to the movement of the stars in our galaxy and is our evolutionary program: The Global Consciousness program. This gives us our world themes and becomes the information stream of our evolution. We are in a cycle right now that began in 1615. The next one begins in 2027. It doesn’t radically shift on December 31, 2026 .... it doesn’t happen like that. We are feeling it right now because it has already started. It has never been more important to be aligned within yourself and to move through these changes correctly. This recording is from an online weekend workshop that was about 4 hours. It includes the two recordings from within the classroom, two separate mp3 recordings and two slide shows.